The holidays are almost over, which means kids are heading back to school. While this can be an exciting time for many, students who recently got their braces may be a tad anxious. In addition to worrying about what their peers may think of their new look, these students also have to make a few daily changes to their school routine to make sure their time with braces is short and successful. We at Mid Wilshire Dentistry want to make your child’s time in braces as comfortable as possible, so we’ve compiled a list of back-to-school tips. ‍• Stay hydrated: Drinking plenty of water is always good for your health, but when you have braces, that extra H2O will also help keep food particles out of your teeth. As a bonus, drinking water can prevent many kids from consuming liquids like sodas and juices that are packed with sugar and can stain their teeth. But if your child has to drink soda now and then, encourage them to use a straw so they can keep the sugar and staining agents as far from their teeth as possible. ‍‍• Keep a care kit in your backpack: Having a braces care kit is highly encouraged for anyone with braces, but it’s especially important for those with new braces. Packing a few handy items can help your child in a pinch. Consider including a toothbrush, toothpaste, and floss for after lunch, when food often sticks to braces. If the teeth brackets start to irritate your child’s lips, cheeks, or gums, a bit of dental wax can reduce irritation, while lip balm will help with irritated and dry lips. ‍• Mind what you eat: The list of what you can and cannot eat doesn’t change when your child leaves the house and goes back to school, but the choices and supervision certainly does. Make sure your child knows to stay away from hard, sticky, and gooey foods that can do damage or even break the brackets and wires of their braces. And if they tend to chew gum or eat candy, try packing alternatives such as yogurt or applesauce to help satisfy cravings. Back to school should be a fun time for every student, regardless of if they have braces or not. 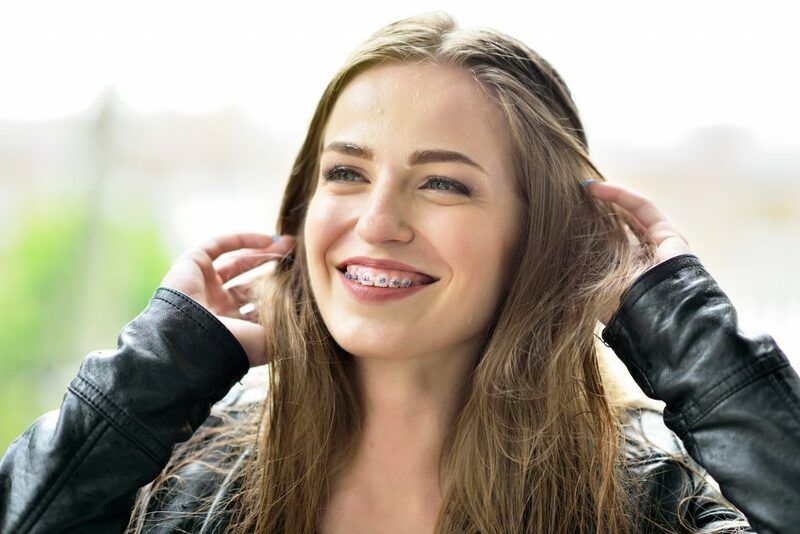 If you have any other questions about how to care for braces during school, don’t hesitate to reach out and contact us at Mid Wilshire Dentistry.